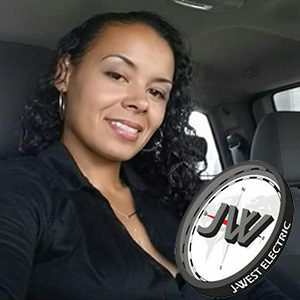 In 2005, Sabrina Westfall graduated from the IBEW/NECA Electrical Industry Training Center and embarked on a career as an IBEW electrician. Her skills would help build projects at the Blanche M. Touhill Performing Arts Center at UMSL, the Washington Avenue revitalization, renovations to the old Woolworth building downtown for Big Brothers Big Sisters and improvements to the Washington University campus. Then, in 2008 the Great Recession hit and work dried up. 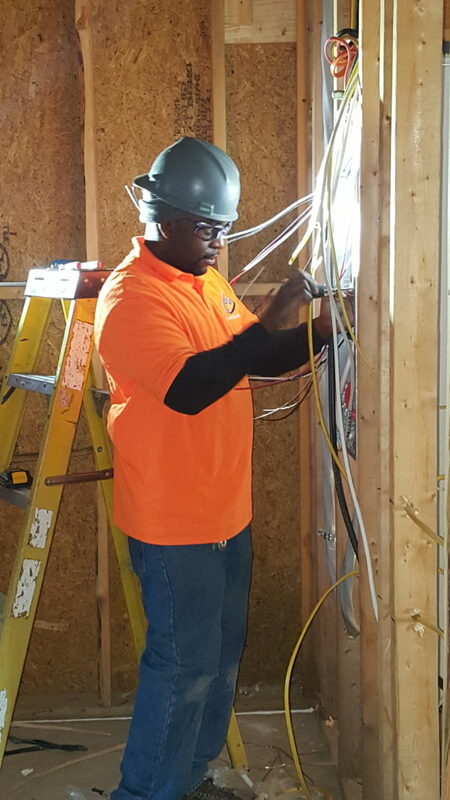 Westfall took hold of her own destiny by tapping two programs supported by the Electrical Connection partnership to not only broaden her skills, but also launch her own electrical contracting company. Westfall’s story was recently spotlighted in the St. Louis Post-Dispatch business section. The RUCC is a construction-focused business incubator for minority and women owned businesses. It is funded by labor unions, large contractors, industry trade groups, and business organizations. There is no cost to M/WBE contractors participating in the RUCC program. Launched in 2006 by the venerable labor-management group Saint Louis Construction Cooperative (formerly PRIDE of St. Louis, Inc.), RUCC helps minority- and women-owned union construction companies sustain and grow businesses via a structured program that helps them improve their business skills. Using volunteers from the area’s most successful construction-related businesses, including law firms, accounting firms and construction firms, it mentors startups with business advisory boards. IBEW Local 1 Business Manager Frank Jacobs serves on its board. M/WBE firms qualify for mentoring and advice within the RUCC program based on assessment of their owners’ commitment to sound business practices as demonstrated in an initial screening process. Firms which do not pass the initial screening can still be assisted by the program’s executive director. The RUCC helps improve the business skills of the minority and women owned businesses. The companies usually have the skills to perform the work masterfully but lack the business skills necessary to ensure their opportunity of success. An advisory board is formed for each company composed of an attorney who specializes in construction law, a CPA who is an expert in construction accounting, a surety who is a bonding specialist, a construction leader / executive who understands the details of the construction business. The teams are led and facilitated by RUCC Executive Director Alan Richter, who in addition to being with RUCC from its formation 13 years ago, had a long and distinguished career in business prior to joining RUCC. This group meets monthly with the owner of the M/WBE company to assist with the company operations, issues, challenges and opportunities. Now in its fifth year, Westfall’s J West is doing well. It has worked on projects at Ballpark Village, Lambert St. Louis International Airport (store remodels) and Washington University (renovations at the Kemper Art Museum). Sabrina Westfall has worked with and been mentored by a number of other large NECA contractors including Bell Electrical Contractors, American Electric & Data, Guarantee Electrical Construction Co., and RJP Electric LLC. J. West is a truly diverse company, with a more than 50% minority. The company holds a strong passion for the St. Louis community and truly cares about making a difference in the community and in the industry. As described on its website, the culture of J. West is one that fosters individual growth and encourages each employee to take ownership over their projects. Crews work together to solve problems and find answers The team meets regularly to talk about goals, ideas and ways to improve. Westfall makes sure each team member understands the vision and mission of the company and realizes why J. West is such a relevant company in the construction market.